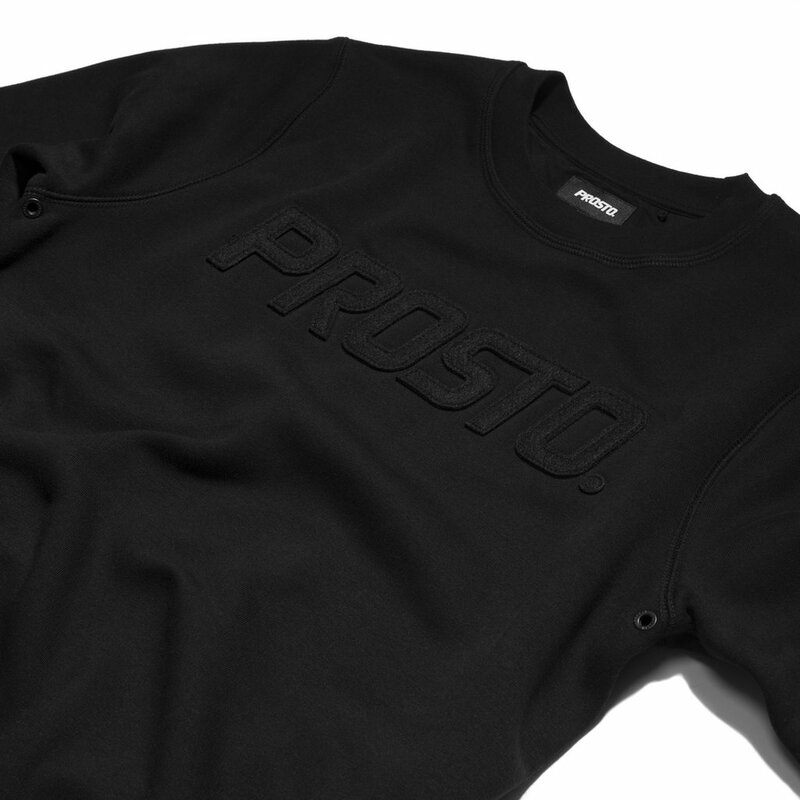 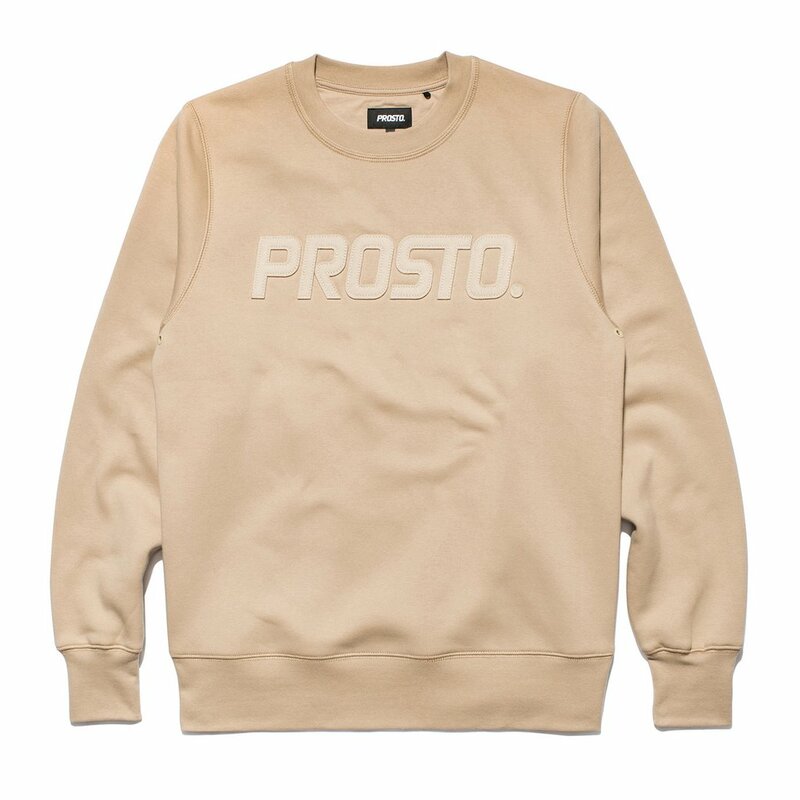 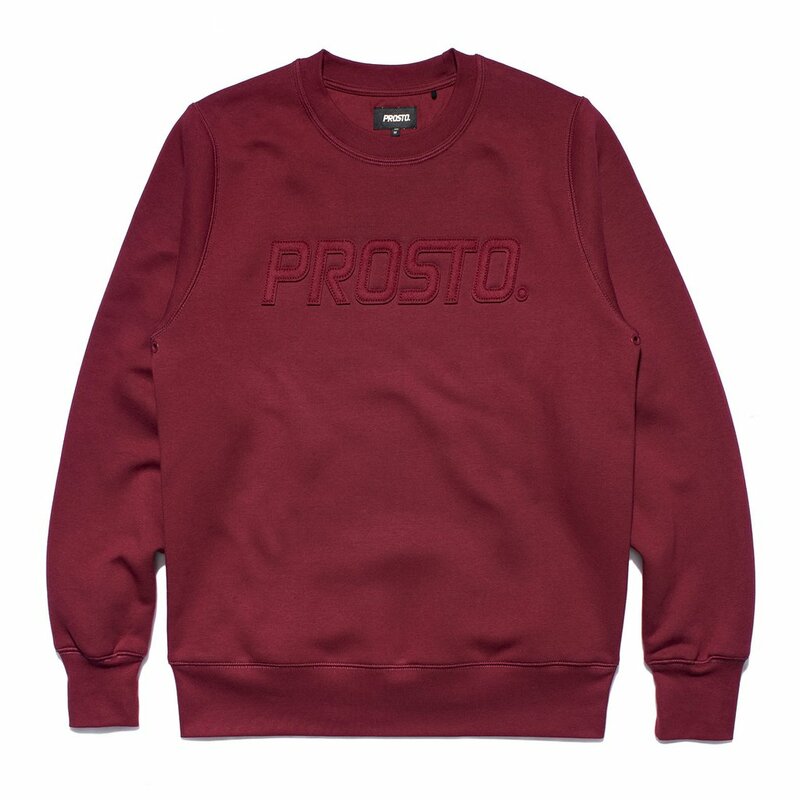 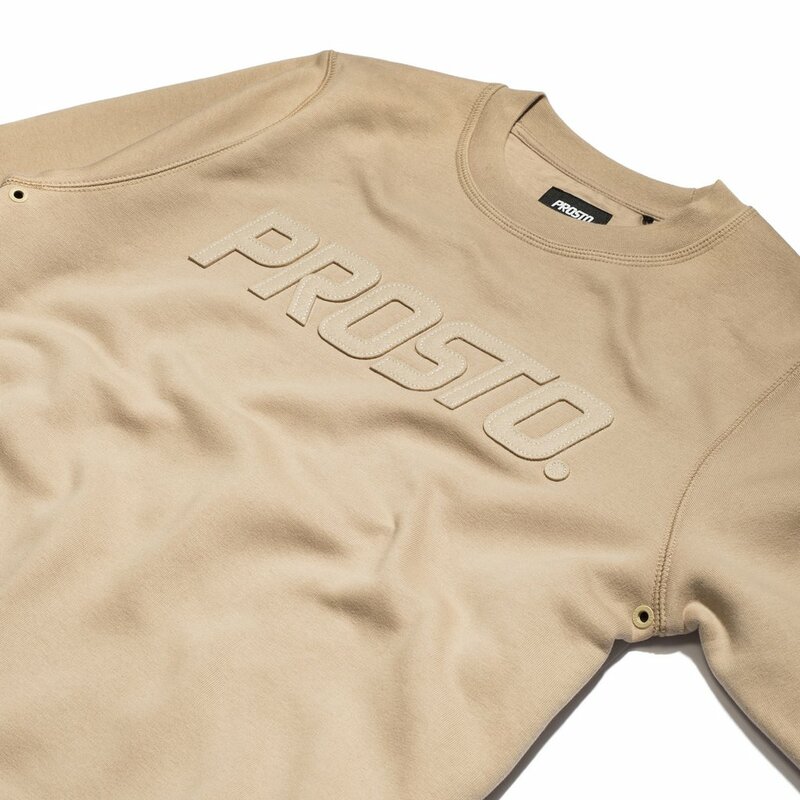 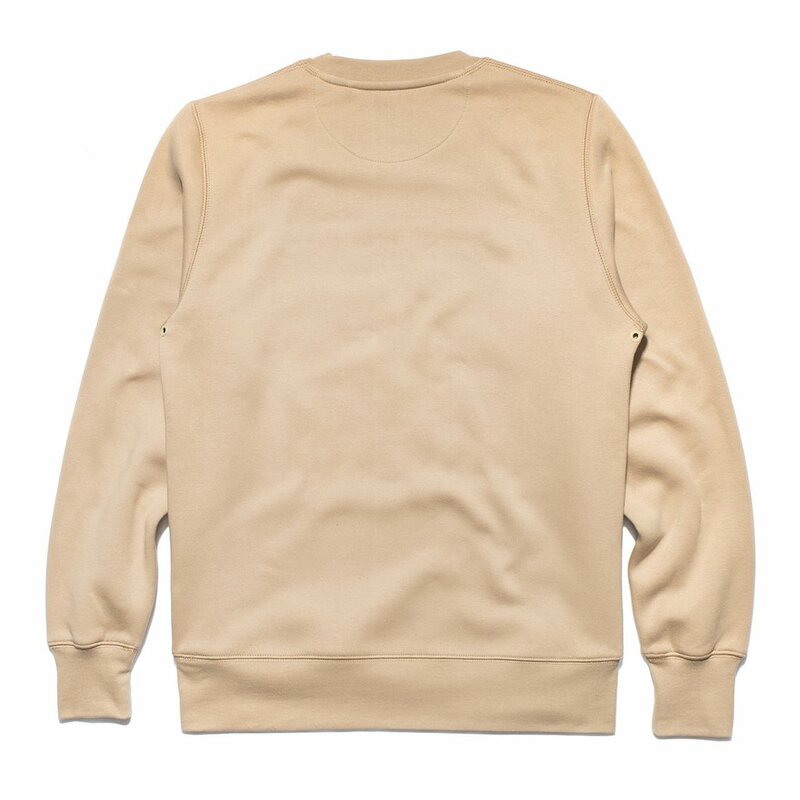 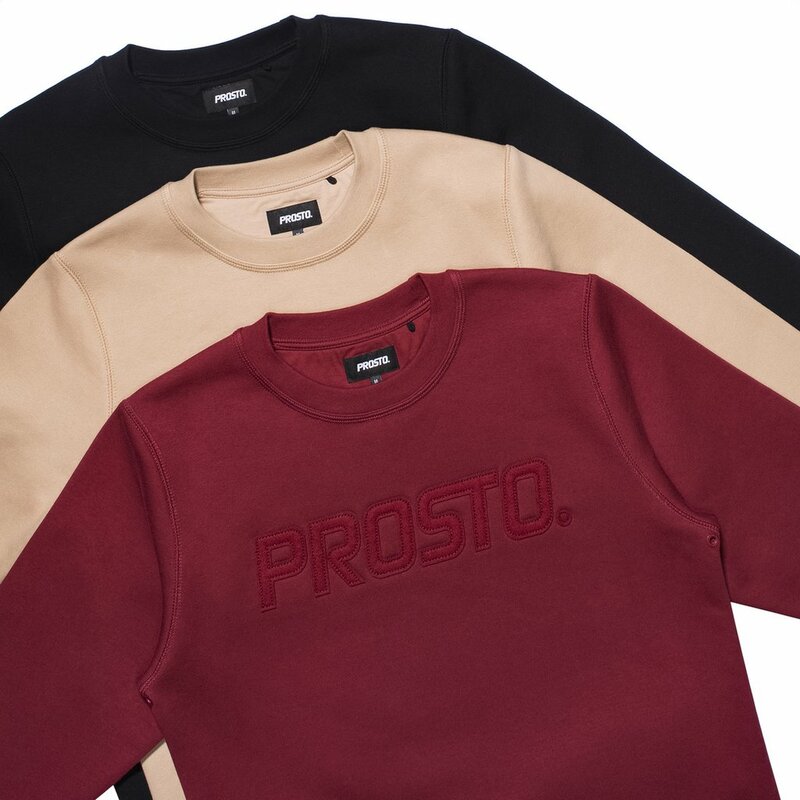 Men's crew neck featuring large felt applique on front. 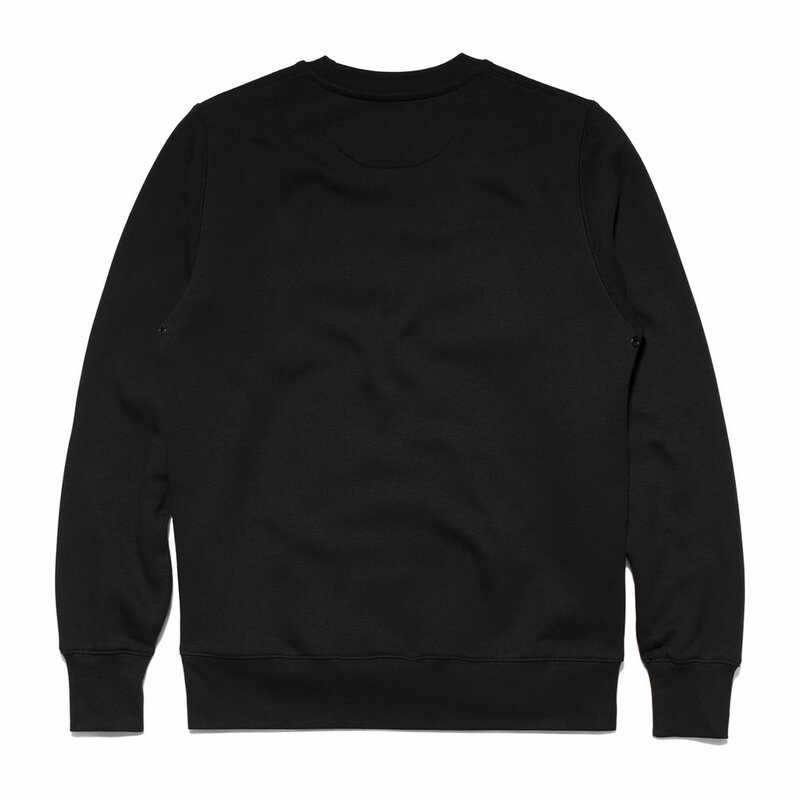 With matching underarm metal branded eyelets. Made of enzyme and silicone cotton, with polyester (360 g).